Have a similar project proposal to discuss? 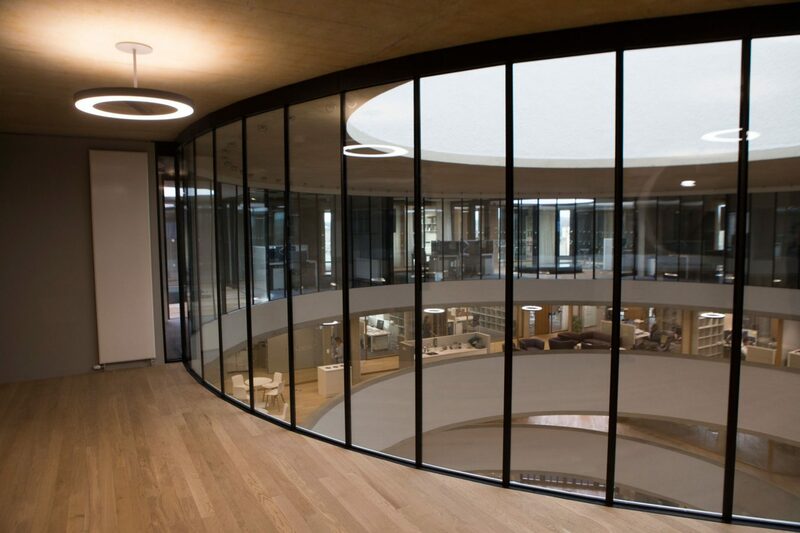 Founded in 2010, Blavatnik School of Government (BSG) is the youngest department of the University of Oxford for Masters and Doctoral education alongside short courses for professionals and public policymakers. 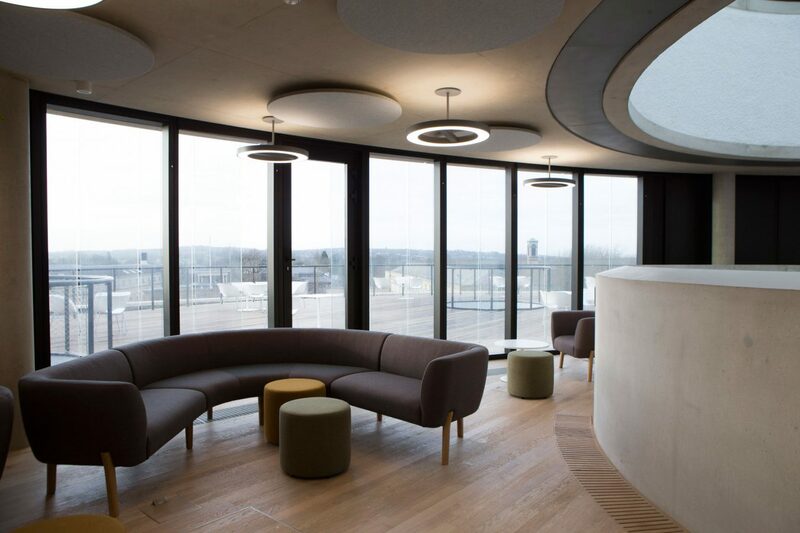 The School of excellence carries the name of noted American Philanthropist and Chairman of Access Industries, Leonard Blavatnik, who donated £75 million to start the institution. In the past, Leonard Blavatnik and the Blavatnik Family Foundation have been generous supporters of the TATE, National Portrait Gallery, Royal Academy, Royal Opera House, Royal Academy of Engineering, The Prince’s Trust. The new building designed by the influential architecture practice, Herzog & de Meuron opened in 2015. BSG adopts a tested approach to classroom learning- delve and explore the divergent experiences of each student from across the world, in order to learn about policy-making. 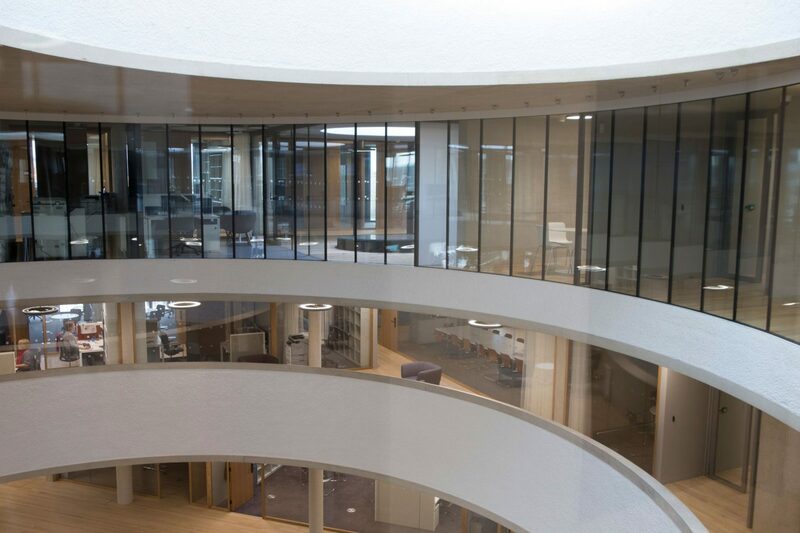 The new building was, therefore designed for the purpose: to promote open discussion, interaction and collaboration for students to learn from each other’s experiences. 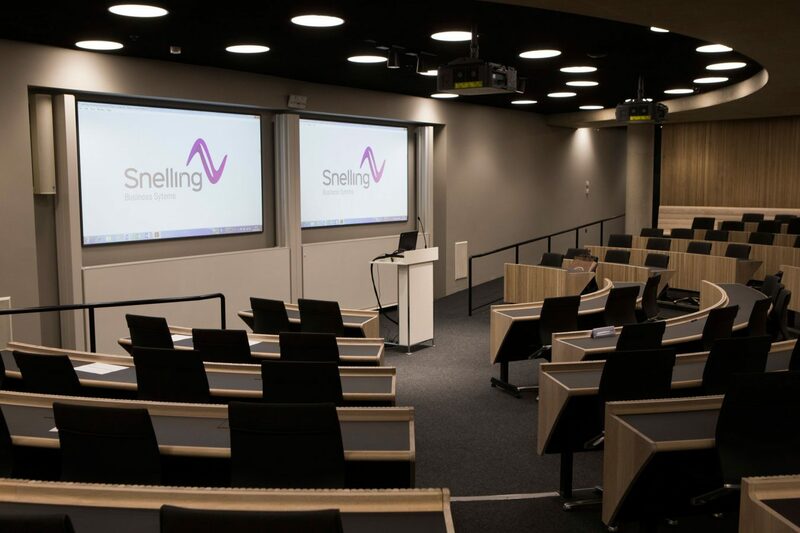 The brief specified AV systems geared for the same; newer possibilities for classroom inter-actions while ensuring the AV systems are befitting for the stature of an ‘Oxford’ School of excellence. 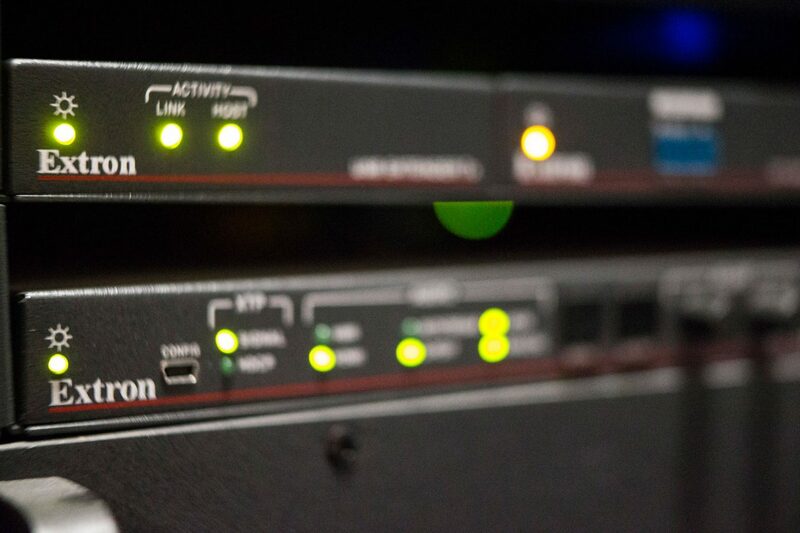 The brief also mandated standardised and future-proofed network-based infrastructure for expansion. 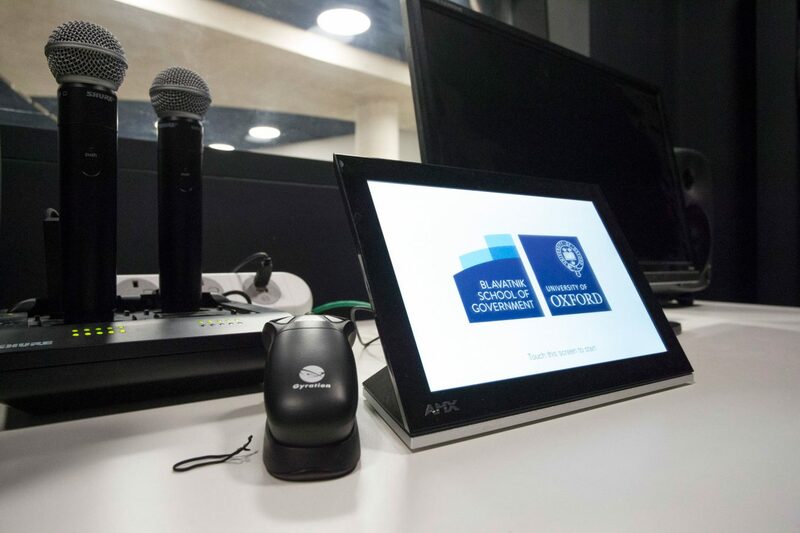 BSG comprises two main lecture theatres and four divisible seminar rooms, eight formal break out rooms, one boardroom, one multimedia room, the Forum (large reception area with seating for informal lectures), a central control room for all AV signals. 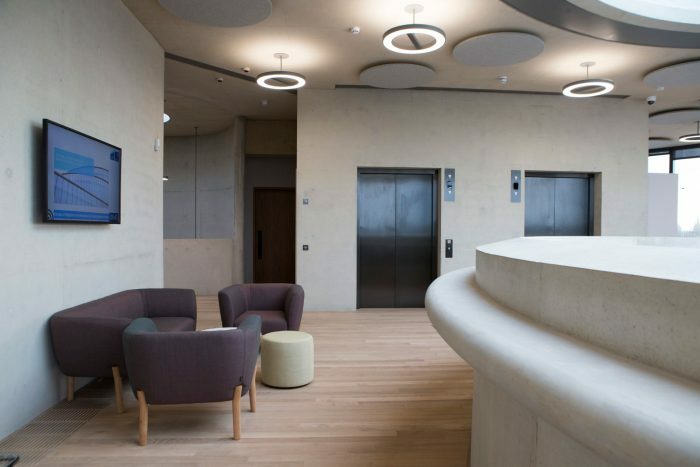 The brief also covers equipping a fully functional office suite for Leonard Blavatnik. 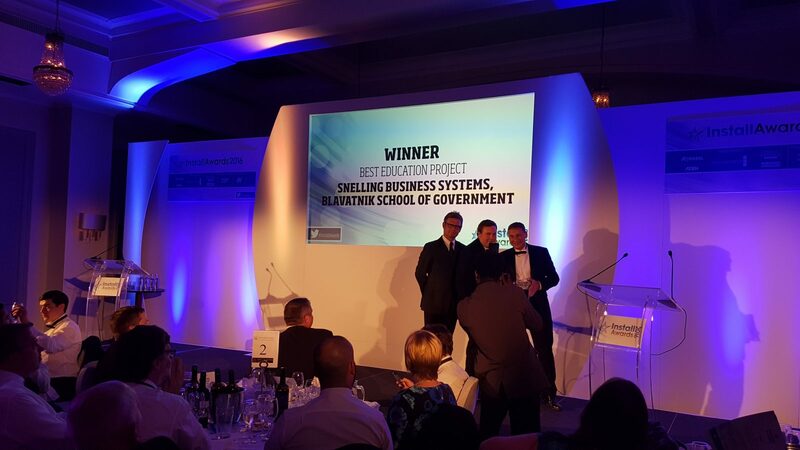 Creating broadcast-quality content is expected of a School of Excellence in public policy. 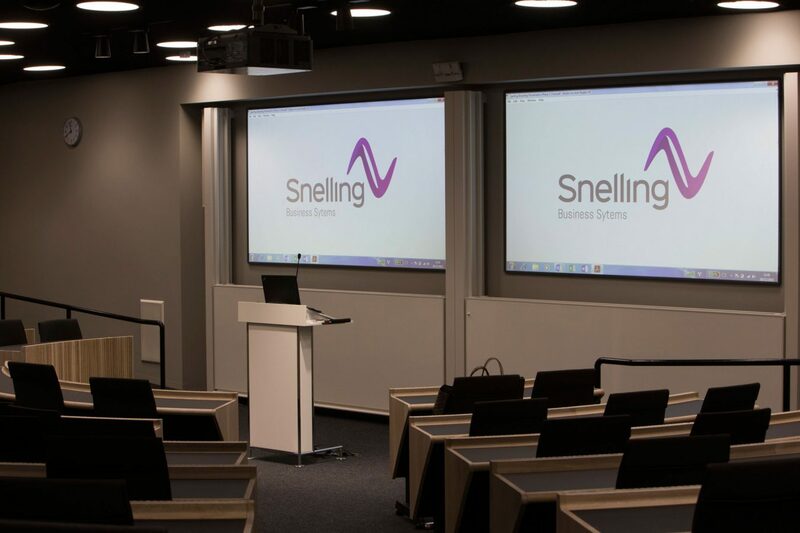 Two Virtual Production Studios were also established to capture content including lectures, conferences, speaker series, presentations and presentation audio. 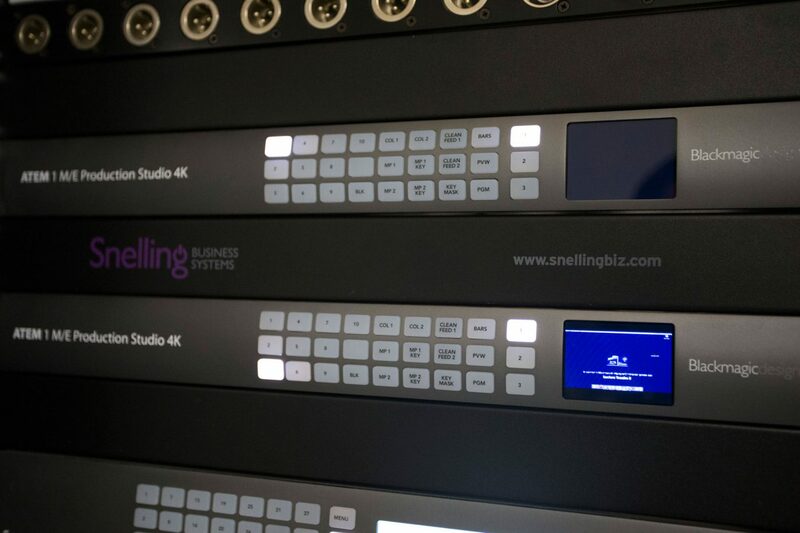 These studios are capable of mashing content for broadcast, similar to newsroom broadcasts, for which BlackMagic ATEM production switchers were installed (making BSG one of the very few education establishments to support the highly advanced equipment). 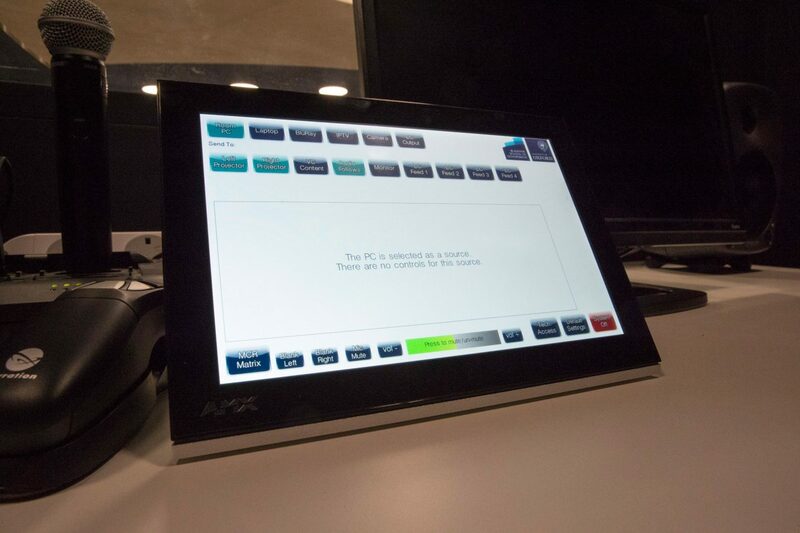 Outdoor Broadcast points are also included in the infrastructure, for example, news channels broadcast vans can relay live content to their respective stations using the School’s own broadcast equipment rather than their own. 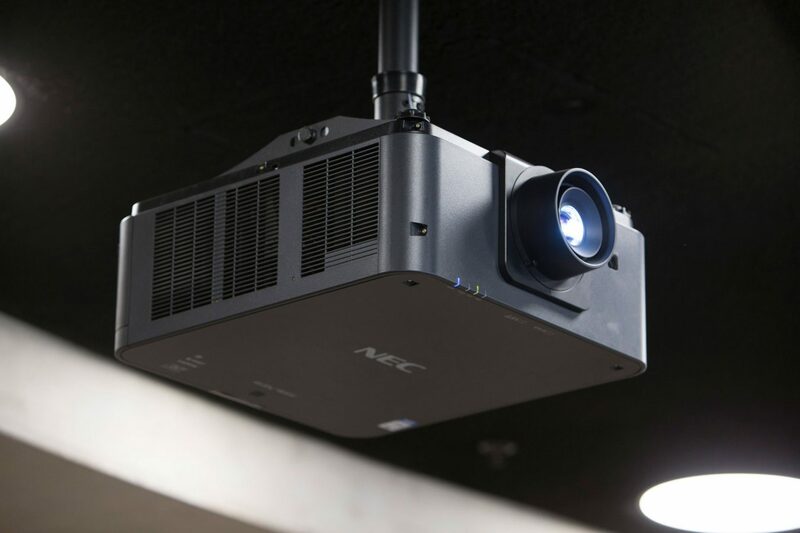 Furthermore, content can be broadcast or LiveStream; record lectures for students, and record lectures from one theatre for distribution to any part of the building. 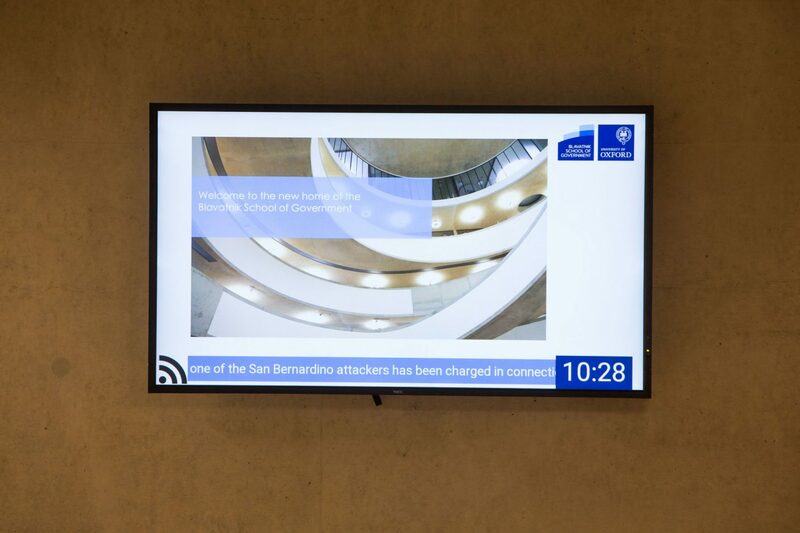 BSG is also one of the first University buildings to use 6G HD/SDI video cameras entirely throughout the building (infrastructure is 8K video capable for the future). 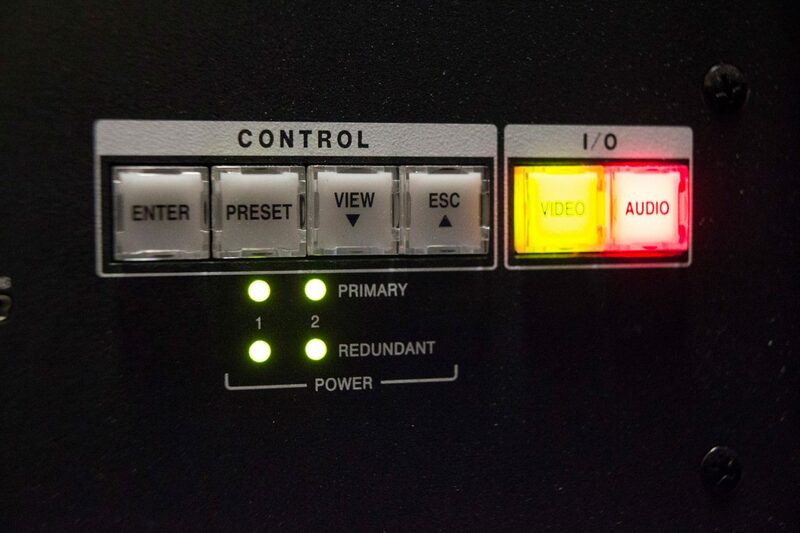 In addition, all audio systems are run entirely on DANTE networks. 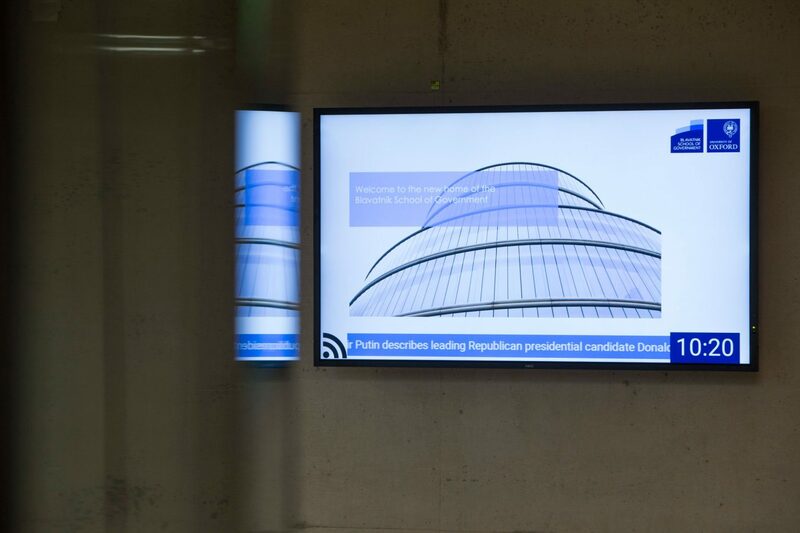 Keeping to the brief, building-wide IPTV was also installed to stream BBC Parliament, besides news, digital signage and other live streaming content. “The process they went through to assess the needs of everyone not only provide us with what we requested but also find innovative ways to increase the capabilities in ways which we weren’t aware were possible. 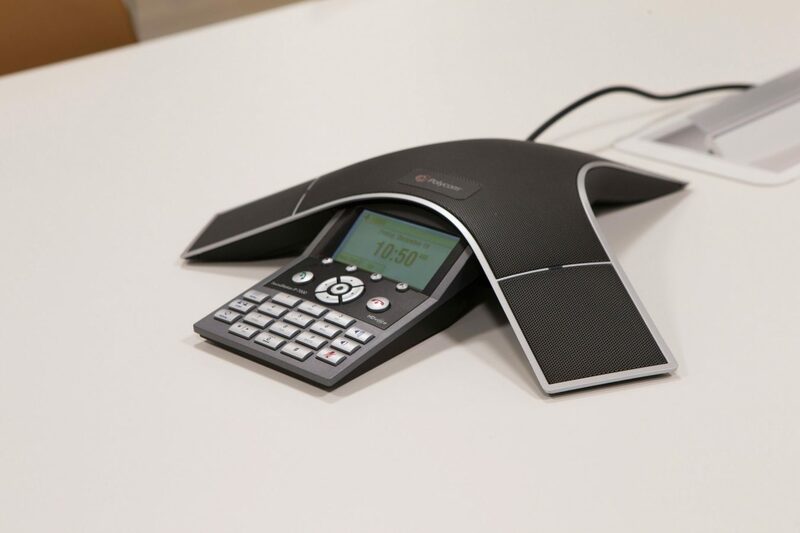 During everyday use, there is no set up required when a configuration of a room needs to be changed enabling us to support a whole range of teaching styles. 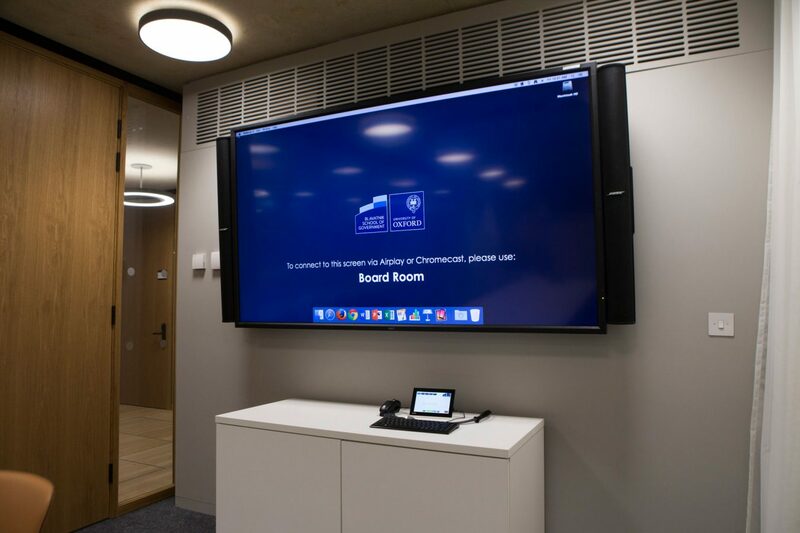 With an international presence, live streaming and international video conferences are incredibly important to Blavatnik and the ease by which this is all now managed is impressive.. the ability to do all of this in house without hiring external suppliers for each individual event means that expenditure is estimated to have been cut by more than half. 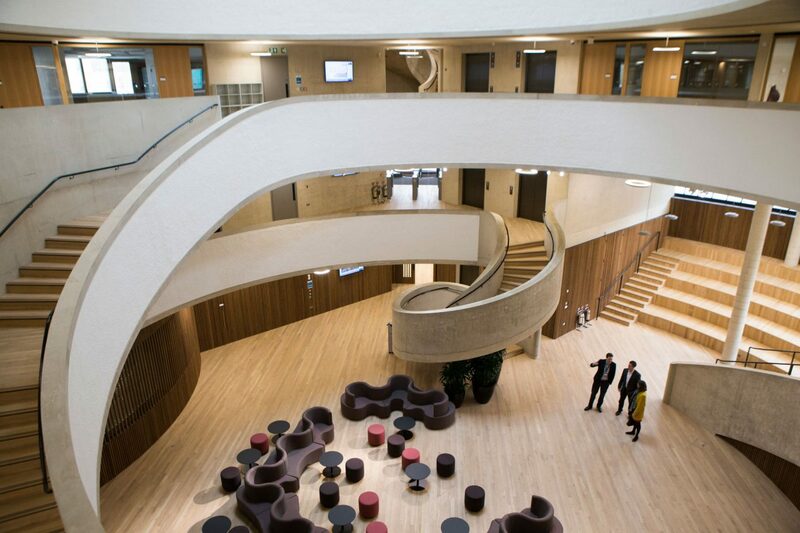 Download the Blavatnik School of Government Casebook. 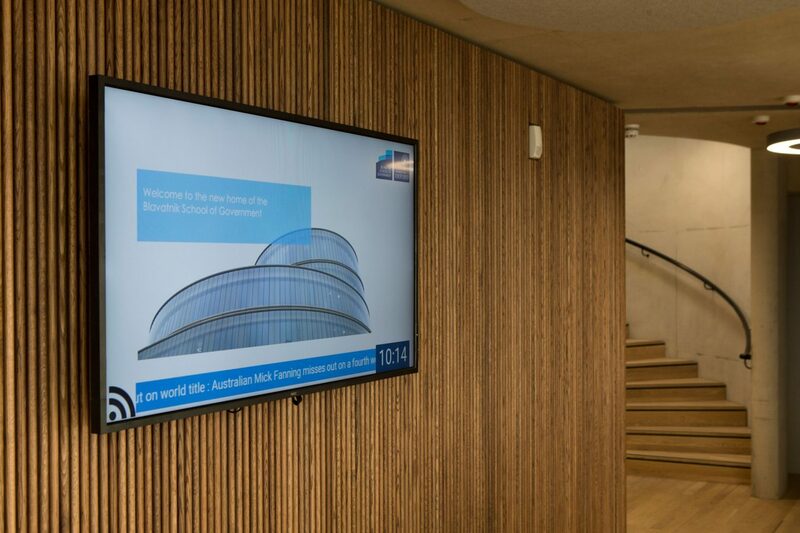 How can AV systems complete a business school purposefully situated in Canary Wharf; for academia and globally important corporates to come together?